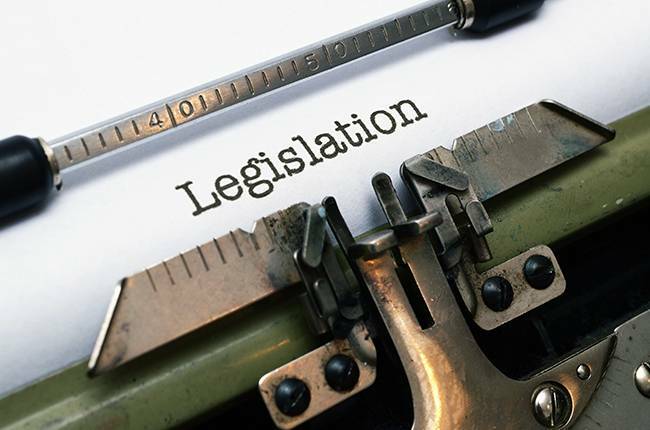 The Minister of Human Settlements, Lindiwe Sisulu, published the draft regulations to the Community Scheme Ombud Service (CSOS) Act 9 of 2011 and Sectional Titles Management (STSM) Act 9 of 2011 in the government gazette (GG No. 39247) on 2 October 2015. Public comment is requested within 30 days – please make your views known timeously. Click here for the CSOS & here for the STSM Acts, while the draft regulations are available here. Please note that the Sectional Titles Act (STA) 95 of 1986 does not fall away, but will be amended. Therefore, going forward sectional title schemes will be governed by STA, STSM and CSOS Acts. CSOS applies to all community schemes. When the Acts and regulations become effective some of the changes proposed will include. 1. Special levies will also be collected pro-rata, as per normal section 37(2) levies [STSMA 3(3)]. c. if reserves are more than 25% but less than 100% of the administrative fund reserves must be at least the total of funds spent on repairs and maintenance in the year being budgeted for. The financial impact on schemes will vary significantly from scheme to scheme dependent on budgets and we have made an alternative proposal to the Minister in this regard. 3. A special resolution (currently trustee resolution only) will be required to purchase, sell, let, hire units [STSMA 4(b)], to borrow monies on behalf of the body corporate [STSMA 4(b)] and to enter into a contract for provision of amenities to owner/occupier or short term lease [STSMA 4(h)]. 4. A person cannot hold proxies for more than 2 members [STSMA 6(5)]. 5. The majority of trustees no longer have to be owners or spouses of owners and instead anyone can be nominated for office. Where a scheme consists of less than 4 members who own primary sections (the regulations define difference between primary and utility sections), all members are trustees. Where scheme consists of more than 4 members who are owners of primary sections they must from time to time elect trustees in terms of the rules. We are not sure what a scheme of 4 members who are owners of primary sections will require, as this is not stated; but we have queried this in our comments to the Minister. 6. Bodies corporate are now required to prepare written maintenance, repair and replacement plans for the next 10 years and must report on the extent that this maintenance and repair plan has been implemented at each annual general meeting. Further, bodies corporate have to enter into written agreements with all agents / employees. 7. The regulations are proposing a change in quorum calculations whereby schemes of less than 4 primary sections require two thirds of owners in value to be represented and all other schemes require one third in value to be represented. Further, body corporate and developer owned sections are excluded from the calculations. This change will have an impact on developers and result in schemes requiring higher attendance at general meetings in order to proceed to business. As we know many schemes already struggle with the current quorum requirements so we hope that this will not result in more reconvened meetings. We have submitted an alternative proposal to this rule. Rules will be subject to the approval of the Ombud and only become legal on the date of a certificate issued by the Ombud confirming approval [STSMA 10(2) & (5)]. The regulations require a consolidated document with an index and rules that specify exclusive use rights, vary the effects of the participation quota in regard to value or liability or impose a financial or maintenance obligation on owners must have a prominent reference. Owners must notify the body corporate of any change in occupier, which then enables the body corporate to provide the occupier with rules [STSMA 13(1)(f)]. This does not remove the obligation on owners to append rules to their lease agreements, as required by the Rental and Housing Act. Ombud, as defined in the CSOS Act, will replace arbitration as defined in prescribed management rule 71 under STA 95 of 1986. Applications to the Ombud are not limited to owners, but include any person who is party to or affected by a dispute. Therefore occupiers are now entitled to declare disputes via the Ombud. The draft regulations prescribe fees for various services and monthly fees based on a rating factor calculated in terms of the municipal value of each property, which means fees will range from R40.80 to R816.00 per annum per dwelling dependant on the units municipal value. CSOS potentially stands to earn a substantial sum of money per year from these fees and the administration of these fees will involve work and additional costs. We have recommended that this rather be calculated on a factor based on the levy or sum insured. As the regulations now require the scheme to undertake a risk assessment for insurance purposes every three years, this should mean insured values will be assessed by professionals regularly. The changes proposed are quite substantial and will, we are sure, engender much debate in the months to come. Should you have any specific queries please do not hesitate to contact your portfolio manager.